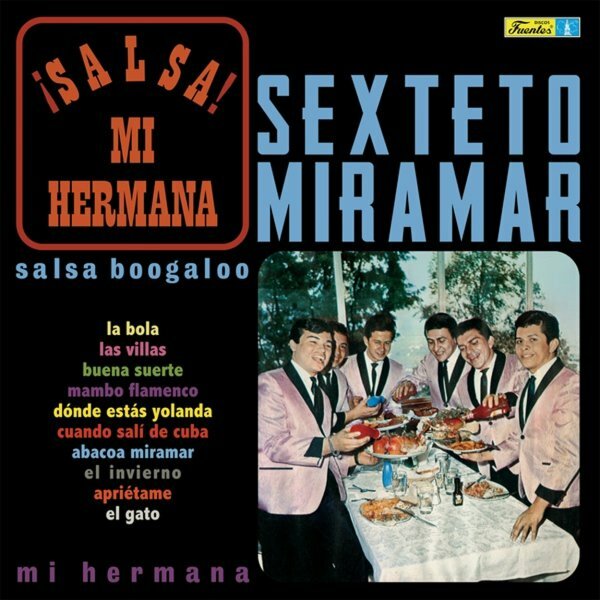 Sexteto Miramar are putting plenty of salsa on their seafood on the cover – and they're also putting plenty in their music, too – as they work with a tight combo mode that owes a lot to the Joe Cuba Sextet of the mid 60s, and which also borrows a bit of Latin Soul from the New York scene too! The percussion is great throughout, and there's lots of vibes on the record too – which gives the whole thing the jazzy sophistication of some of Louie Ramirez's best recordings of the 60s, as the vibes ring out to color the grooves in all these wonderful ways! The whole record's got this lively small group feel that's right up there with the best mid 60s work on Fania, Cotique, and Alegre – and titles include "El Invierno", "El Gato", "Mambo Flamenco", "Salsa Boogaloo", "Mi Hermana", "Aprietame", and "Cuando Sali De Cuba". © 1996-2019, Dusty Groove, Inc.